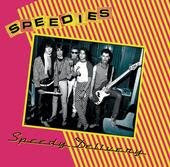 This has now been rectified by Radio Heartbeat Records who have released a Speedies LP (Yes, it’s on Vinyl folks!) that collects both sides of their singles along with unreleased material mostly recorded during sessions in Canada. There are many other top tunes on the LP including the opener You Need Pop. The sound is loud and proud, like a tougher version of The Fast. As well as Speedies, Radio Hearbeat have also issued a true labour of love –A ridiculously sublime gatefold issue of the Milk ‘N’Cookies LP which features a second disc with outtakes and tracks that didn’t appear on the original album. I first discovered the band back in 1975 and picked up the German issue of the LP that year (it’s release was delayed for over a year in the UK). The band looked so perfect to me at the time, but I was slightly put off by the fey vocals, although the tunes were topnotch. 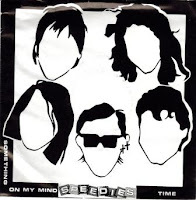 That LP fell into a similar bag to The Quick insofar as their wildness seemed to have been curtailed in the clutches of their respective producers (Muff Winwood and Earl Mankey) who seemed to have attempted to turn both acts into the new Sparks. So for me the real surprise was the unbridled energy of the bonus tracks. The alternative version of Not Enough Girls (In The World) is certainly much tougher, Tinkertoy Tomorrow and Typically Teenage are damn near perfect while Wok N’ Woll is a cataclysm that will blow your socks off. If only that last track was released at the time, I would have put Milk ‘N’ Cookies right at the top of my favourite bands at the time. So what can I say except to urge you to contact the label: william@radioheartbeat.net and show your support by buying these gems. A label like this with top taste and such dedication appears once a blue moon, so please ensure you help turn this venture into a success. And while we're at it, here's a fun clip of Leiden's finest performing their 3rd single. Just dig the fancy leg work...So c'mon and Clap Your Hands and Stamp your Clogs! 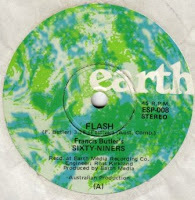 Flash is a sublime piece of moronic Colonial Boogie/Glam. I'm sure you'll dig the idiocy of the grunts (and Yippees!!) and the inane repetitiveness which will hammer the hook right into your frontal lobes (and beyond...). You will certainly swoon to the beefy guitar in any case, which is similar to the guitar-slinging found on both Streak singles. A killer song and performance, but perhaps using the name Francis might have limited its demographic appeal...This was the band's last single in any case. The B side Back Street Drivin' is pure Pub Rock and somehow reminds me of The Solid Senders or a harpless Lew Lewis. Anita’s version is a much more realised affair. With its rousing string section arranged by an un-credited Jeff Lynne, the track drives along superbly. 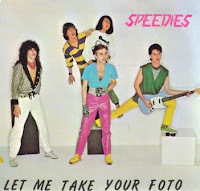 If anything this version has a heavier Sparks touch to it and was deservedly a hit in Holland in 1977. 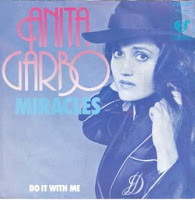 Anita Garbo seems to have been of Swedish origin and released at least 2 other singles on Basart/Papillon : Race With The Devil / Mean Mean Mean and Mean Mean Mean / Show the way (written by Boult / Gardner). 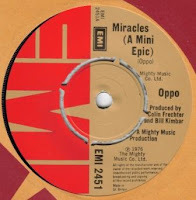 Click on title for an edit of both versions of Miracles.